Happy! 節約生活 in アメリカ: $1 off Beverage at Peet's Coffee & Tea thru 10/7! 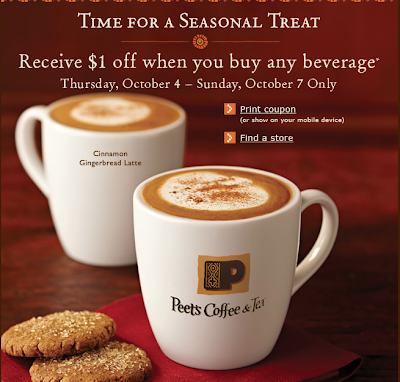 $1 off Beverage at Peet's Coffee & Tea thru 10/7!